Seeking to enhance whale shark tourism in Maldives by working with tour operators to collect valuable data that contributes to conservation of the sharks, the MWSRP is in the final stage of developing a smart phone app that lets you see where the whale sharks are being spotted. Have you already taken a whale shark excursion and want to know more about the shark you swam with? Get details on your whale shark including the date it was first seen in the Maldives, how big it is was, and more fun facts. The app will update you each time your shark is encountered and you can see how far these ocean wanderers really are traveling! Are you a student that is looking for a great adventure and want to learn about different places? Are you a parent, teacher, or administrator that wants to open a child’s eyes up to the splendors of the world? Service learning trips run by the passionate and experienced staff of the MWSRP is a unique way to learn about the natural world, experience Maldivian island culture, and participate in marine research and environmental stewardship projects. We have been conducting service learning trips since 2011 with international high schools such as the American School of Doha, and have a proven track record for providing safe, educational, and exciting trips for students and volunteers alike. 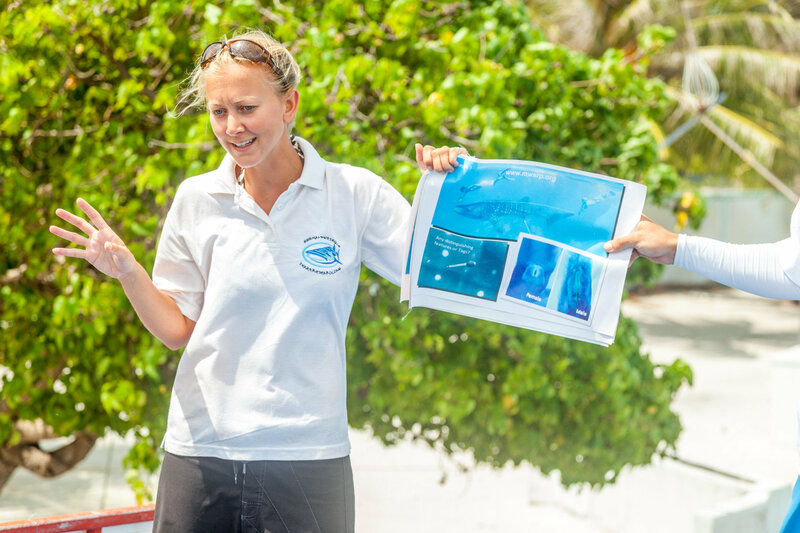 Contact us at info@maldiveswhalesharkresearch.org to get more information and to sign your school up today. As part of our commitment to the communities we work with, we are enhancing our Internship Programme to create a more dynamic platform for young Maldivian nationals that have an interest in learning about marine sciences and research. This is a great way for emerging leaders to gain new technical and vocational skills, enhance knowledge, network with professionals across multiple sectors, and create opportunities that will benefit them for life. No experience is necessary. We encourage people with an open attitude, a love of nature, and a good work ethic to apply. If any organisations or institutions would like to work with the MWSRP to develop new opportunities or learning modules, please do not hesitate to get in contact with us. After a fantastic turnout and great success of the first ever Maldives Whale Shark Festival in June 2013 on the island of Dhigurah, we are pleased to announce that this will become an annual event you can mark on your calendar! Each year the festival will rotate locations with each island in the South Ari Marine Protected Area playing host to the vibrant festival. 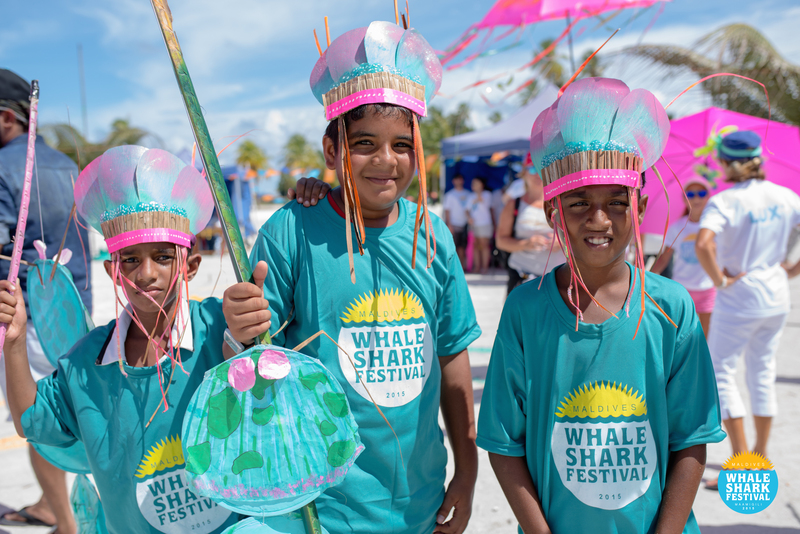 Come learn about whale sharks and their significance in the Maldives, take part in the colorful whale shark parade, dance to the drum beats of traditional Maldivian boduberu bands, and browse local artwork and handicrafts. 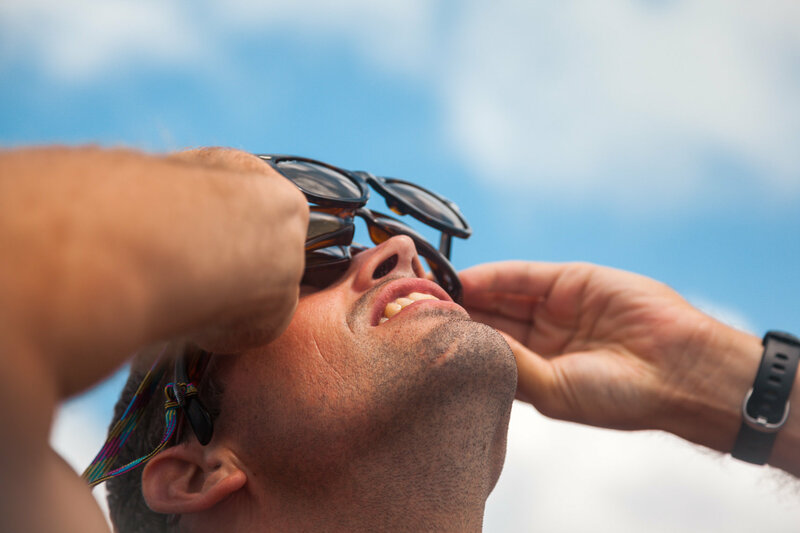 We guarantee the festival is nothing like you have ever experienced and definitely not one to miss! “Like” us on Facebook to get updates on the next Whale Shark Festival.